Bill Gates said: “If I had one dollar left, I’d spend it on PR.” Nobody can deny the fact that he knows a lot about business and we can definitely learn a lot about the way in which he conducts his own business. Businesses should never underestimate the importance of public relations and should have at least some sort of PR campaign in place so that it can help grow the company in the long run. While good PR may not bring in immediate financial benefits, in the long run, it will increase your business. PR is very hard to define because of the fact that the industry keeps expanding and covers new areas every single month. We can say that it is a process through which benefits, stories and attributes associated with a specific entity are highlighted in various arenas. The tactics used are specific actions taken with the purpose of making positive stories stand out and reach the target audience. One of the most important roles that PR has is to increase a company’s reputation so that a store of goodwill can be increased. Monetary gains and increased sales are always possible when public relations campaigns are properly executed. However, this is not the only reason why you need to run a good PR campaign. In many situations, companies say that they do not need to spend extra money on marketing or PR when they do well since they could not handle extra business. That is not a healthy way to look at growing a business. This is basically the main reward that you get when your PR campaigns are really good. The media relations campaigns are important and have to be run whenever news is available. Many other means are available for PR specialists to basically manage the reputation of a brand or company. However, this is not properly understood in many cases. Let us think about a simple example. Let us say that you want to create a really good site for your company and you figured out that flash animations can be really effective at times. You want to use them and you create a very good site. Then, a problem appears and you start to get negative feedback. If you had a reputation management team that uses PR tactics, you would have figured out that this would happen and in the event that a problem appears, PR would manage the negative effects of something that went wrong. We can say that PR would basically protect you in the event that something goes wrong. This is something that a lot of people do not understand. Offer Credibility – You can use non-biased sources that can increase the credibility of your brand. Employees See Your Corporate Culture – The future employees that are interested in getting a new job will be drawn to your company, and PR can properly showcase all the advantages of working for your company. Showing Expertise and Thought Leadership – The really smart people that have very good ideas will have something that is particularly valuable to share and will not be quiet. PR can help you showcase the fact that you have expertise and that your personal management or leadership skills are high. Promoting Community Involvement – This is particularly important. PR will help you showcase that the organization does care about its clients. Something like this can be particularly important in the long run, or when things go wrong. Increasing Sales – Your PR campaign will create a proper atmosphere for increasing your sales and creating a higher demand for the brand that you try to promote. Praising Employees – That is possible through human interest stories, promotions and awards. Creating Awareness – There are cases in which people do not need your services and will not buy something. However, when they do need a similar service, they will think about your company first if the PR department does a great job. 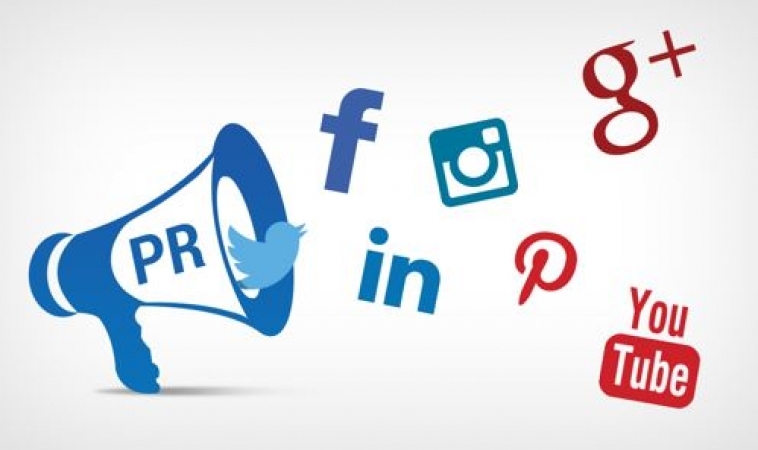 Boosting Social Media Programs and Advertising – One thing you should know is that PR is always better when it works with social media and advertising efforts. Combine everything and use all promotional channels that are available to make the most of even a smaller budget. Crisis Management – Organizations will inevitably face problems as they evolve. When you are faced with a crisis, you need to manage it properly. That can only be done through PR in an effective manner. Even if you do not use PR campaigns at the moment, when faced with a serious crisis, do all that you can to hire specialists in crisis management! Using Storytelling Techniques – That is used in order to showcase how the organization will benefit constituents or customers.